The Senate at an extended plenary on Tuesday debated the killings by Fulani herdsmen in Benue State and other parts of Nigeria. The lawmakers said their resolutions, which were later conveyed to President Muhammadu Buhari by the leadership of the National Assembly , were “ wake – up call ” to the President and the Federal Government who “must ” take urgent action on the crisis before it escalates. 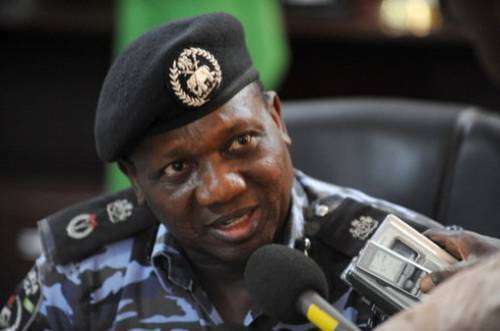 They also resolved that the Inspector-General of Police, Mr. Ibrahim Idris , “ must ” within 14 days arrest the herdsmen suspected to have killed over 70 persons in Benue State recently . The debate followed the consideration and adoption of the report by the Senate Ad Hoc Committee on the Review of Security Infrastructure of Nigeria, after an investigative visit to Benue last weekend . During the debate on the matter , which lasted about six hours, members of the Senate also spoke on restructuring of the country ’s governance structure , state police and the “ cattle colonies ” being proposed by the Federal Government. The Senate President , Bukola Saraki, in his closing remarks after the debate , asked the Federal Government to take timely and drastic steps to end the crisis. Saraki, while hailing the panel headed by the Majority Leader, Senator Ahmad Lawan, expressed condolences of the Senate to the people and government of Benue State, especially on those who lost their lives and properties to the attacks. Saraki also made reference to the decision that the resolutions by the Senate must be conveyed to the President . He said the lawmakers appreciated Buhari’s invitation and meeting with the National Assembly ’s leadership on the matter. Several lawmakers , who spoke during the debate , identified various causes of the problem and recommended various solutions , some of which they argued over. First to speak, Senator Barnabas Gemade , who is a member of the panel and a Benue indigene , urged security agencies to take action since Governor Samuel Ortom had claimed that the suspects were known to him (the governor) and the security agencies. He said , “ I do recall in the committee ’s interactive session with the heads of security agencies in Benue State. It is at this meeting that security personnel did inform the committee that those harbouring foreign bandits were known and they had in fact compiled a list and sent it to Abuja , and that if the ‘high leadership ’ requires to have the list they have sent to Abuja , heads of the Nigeria’s security organisations could be approached and they would provide that list . “ What we see now going on in the country is a situation of killings followed by retaliations . A responsible institution must rise to the occasion and say that enough is enough ,” Ekweremadu stated. He added that religious and ethnic leaders who were silent on the matter were now speaking out. The Deputy Senate President gave examples of when and how state of emergency and coup detat were used legitimately in countries where there were urgent national issues , including the Arab Springs . He therefore recommended declaration of a state of emergency in the country, noting that it would not vacate the current political leadership of the country . The Deputy Senate President stressed that since there were claims of aliens crossing the borders to commit the crimes, the emergency could lead to shutting the borders. This, he stated, could be justified under international laws on the doctrine of necessity. Contributing , Senator Shehu Sani, decried that the country was faced with a crisis but Nigerians were using ethnic , religious and sectional lenses to view it , making them to see an ethnic religious and sectional image. “ This is not the time for diplomacy; this is the time to provide leadership for a nation that is in national emergency and distraught,” he said . Also speaking , Senator Dino Melaye said , “ What happened in Benue State has showed like never before that in this country , we live in perilous times. We live in times where justice is the scarcest commodity in the Federal Republic of Nigeria. Also, Senator Samuel Anyanwu, said there were claims that the killers were not Fulani herders but foreigners. A former Senate President , David Mark , who is from Benue, called for short – term and long – term solutions to the problem. He said , “ Presently, there is no intelligence transmission between the organs, villagers and government. And if there is, government is not proactive. Nigeria is not the country with the largest number of cattle in the world , are they having all these crises in other places ? Meanwhile , the leadership of the Senate on Tuesday night was at the Presidential Villa to deliver the resolutions by the upper chamber of the National Assembly to President Buhari. The PUNCH on Tuesday night that the Senate’s leadership , led by Saraki, met with Buhari to personally deliver the resolutions. The meeting, which began at about 8 .30pm, was still ongoing as of the time of filing this report .